Lella Mai Hagewood Warf, age 78 of Madison passed away March 25, 2014 with her family by her side. Funeral Services were conducted on Friday, March 28, 2014 at 7:00 P.M. from the Chapel of Spring Hill Funeral Home. Graveside services were conducted on Saturday, March 29, 2014 at 11:00 A.M. from the Greenwood Cemetery in Charlotte, TN. 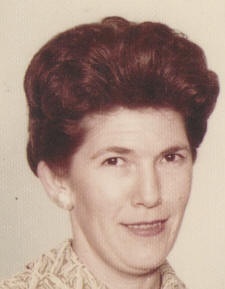 She was born on June 5, 1935 in Dickson County, Tennessee to the late Ernest and Emma Lee Hagewood. In addition to her parents, she was preceded in death by her husband of 33 years, Joseph A. Warf; sons, Edward, Sydney and Tommy Warf; sisters, Ruby Davy, Elaine Murphy and Margaret Mash; and brothers, George, Wallace, Tommy Dee, E.N. and Carney Hagewood. She is survived by her daughter, Renee (David) Bates of Nashville; son, Tony Warf of Clintwood, VA; daughter-in-law, Joan Warf of Nashville; sisters, Betty Catherine Hagewood Groves of Charlotte and Helen Hagewood Inglett Parker of Vancouver, WA; 10 grandchildren, 12 great-grandchildren and many beloved nieces and nephews.